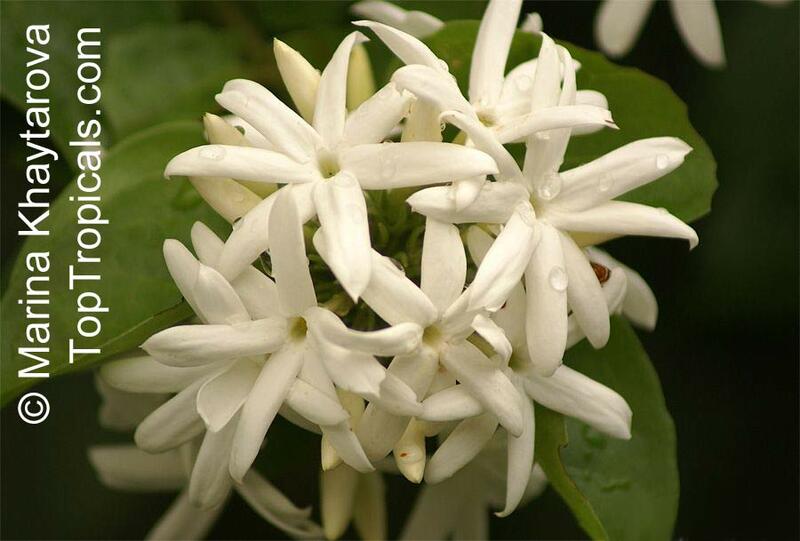 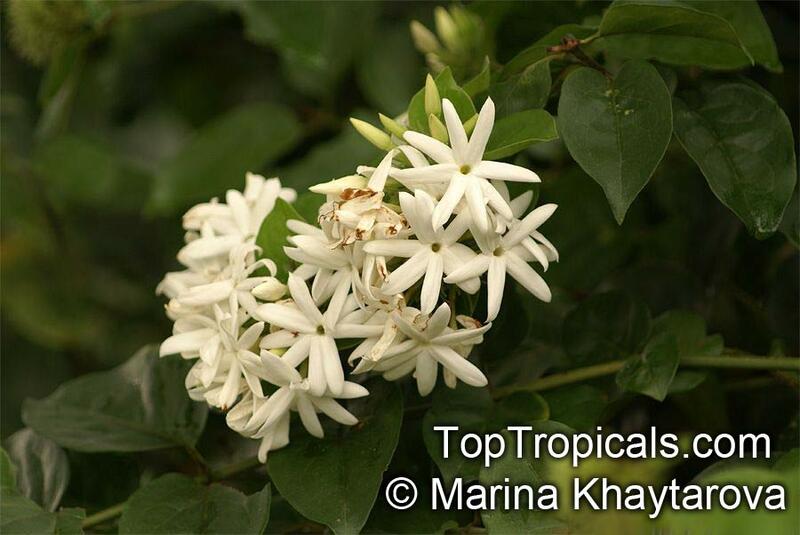 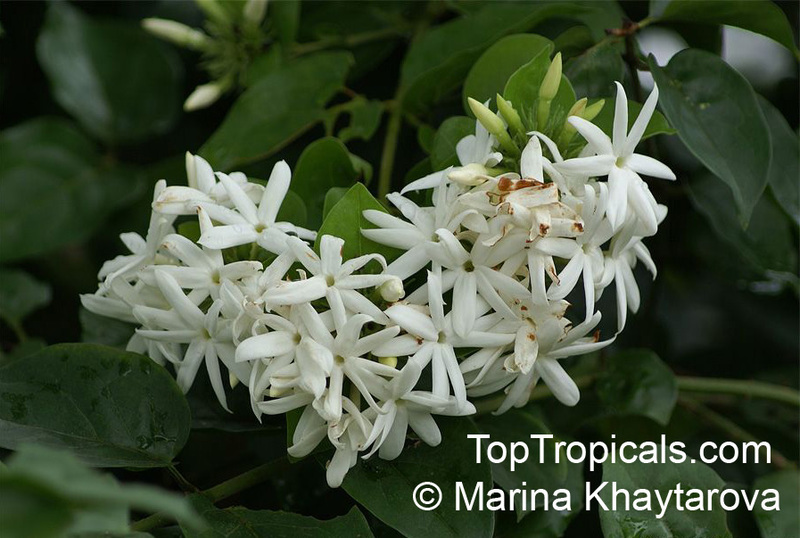 Freely spreading shrub with downy cordate leaves and clusters of intensely sweet scented white starlike flowers at tips and along the stems. 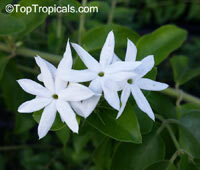 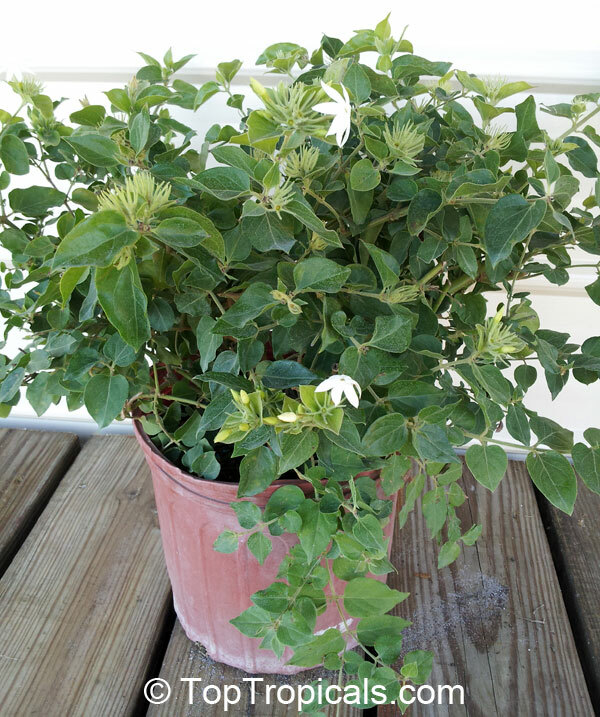 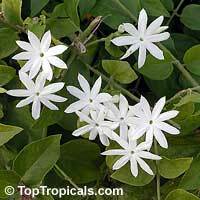 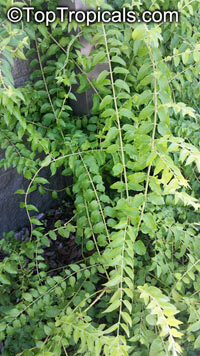 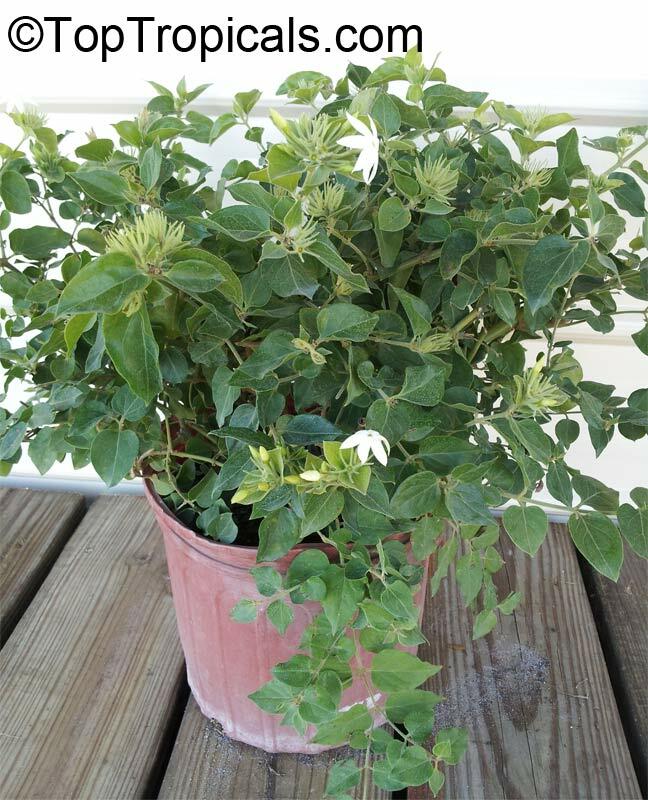 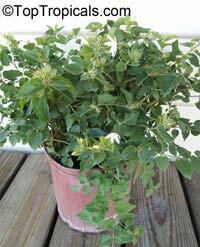 Can be thought of as an evergreen, branching vine that can be trained as a shrub, or as a spreading, vine-like shrub. 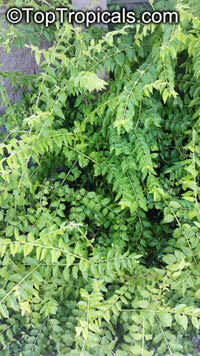 It usually appears as an open, spreading, weeping mound, 5-10' tall and just as wide. The stems and leaves are covered with a downy pubescence that gives the plant an overall grayish-green appearance. 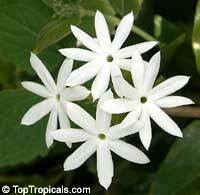 The leaves are ovate and rounded at the base, up to 2" long, and opposite each other on the stem. 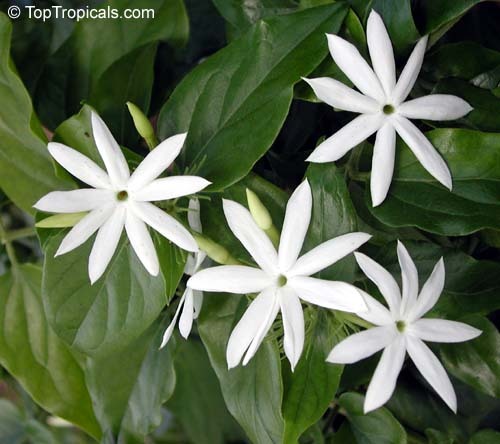 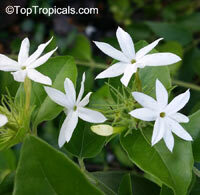 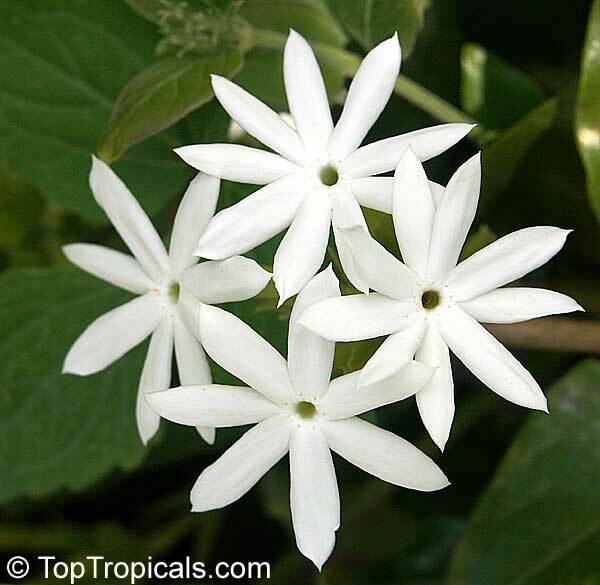 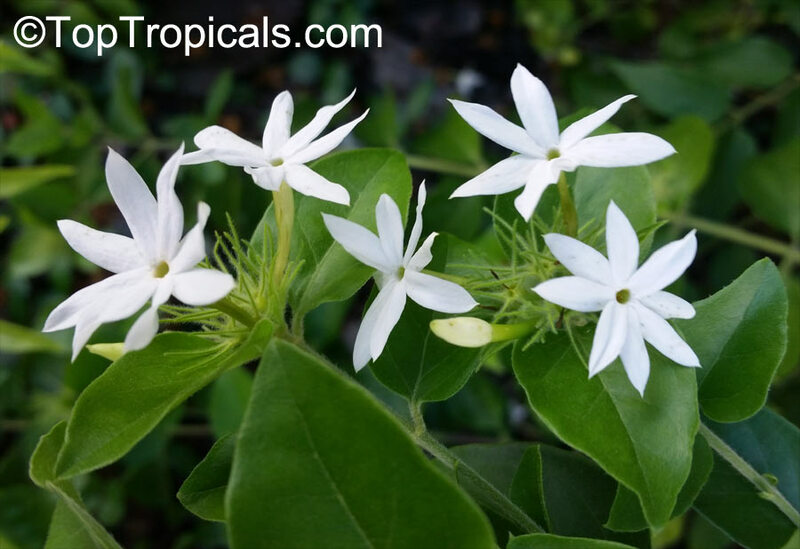 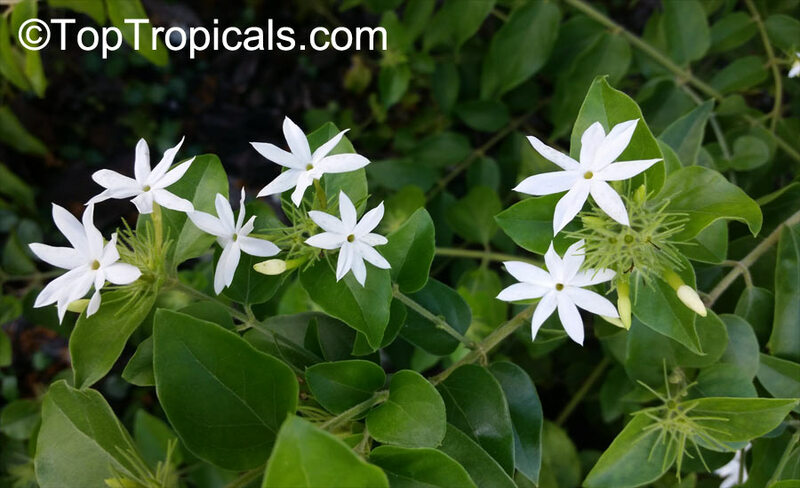 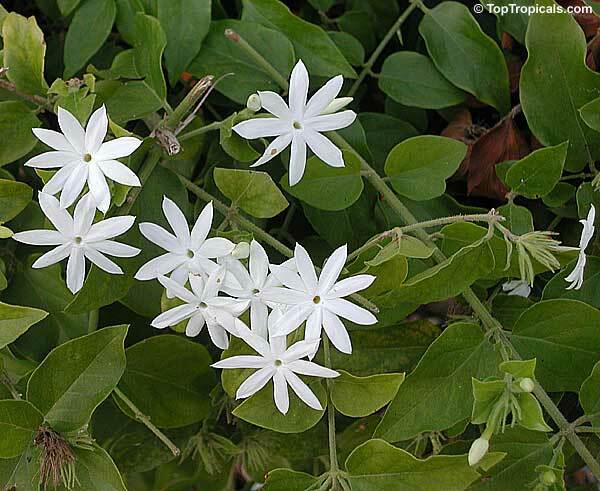 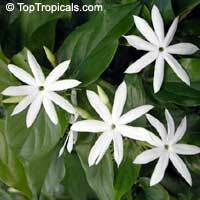 The white, clustered, star-shaped flowers appear nearly year-round.